Ryan joined Voyage in 2009 and has been providing financial advice and guidance since 2003. He is a licensed CERTIFIED FINANCIAL PLANNER™ professional and is recognized as one of Chicago’s select Five Star Wealth Managers*. He is also a Chartered Mutual Fund Counselor and has been a member of the College for Financial Planning since 2007. 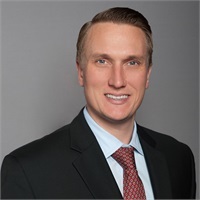 Ryan earned his Bachelor degree in Finance from North Park University and currently serves on the college’s School of Business and Nonprofit Management Advisory Board. When he is not busy providing financial advice, he enjoys spending time with family and being outdoors - especially when he is golfing, water skiing, or snow skiing. He currently resides in the western suburbs with his wife Kristie and daughter Vivian. * Five Star Wealth Manager awards are based on 10 objective criteria associated with providing quality service to clients, such as credentials, experience and assets under management among other factors. There is no fee paid to be considered – or placed – on the final list of 2016 Five Star Wealth Managers.